First Aid Practical Session is for delegates that are completing or have completed a Online / Blended Course through BLS Medical or BASA. 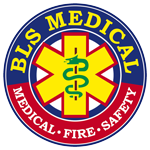 To be approved by BLS Medical to attend this First Aid Practical Session you must submit your online completion certificate to mail@blsmedical.co.za, at least 48 hours before the start date for this course. All registrations where certificates have not been received will be rejected.